The social search model is the newest endeavor to make search a more relevant and more fulfilling experience for audiences. Social search combines the best features of collective search results from the top search destinations and mixes them with a communal twist of lime. With social search we can now view what our friends or like-minded fans think around the world. Right now we are witnessing an entirely new way to connect people and sites to keywords. The interactive marketing industry is moving beyond simple keyword tagging methodologies and popularity ranking systems. A rose is never just a rose. When Gertrude Stein wrote “a rose is a rose is a rose” she had no idea how complex the garden actually was! The struggle for marketers is finding the path between keyword messaging and the content that lies under the weeds, is the digging required to uncover user intent. Walking beyond keyword selection and the and monitoring our websites ranking takes a lot of sweat but the groundwork is already in place. Keywords may eventually uncover user intent but our current systems require in-dept analysis of keyword variations and a good guess can be determined. In the search examples above, we discover the searcher’s intent. I want to buy some wine, a specific wine. I visited many different sites before returning to the search box. Each search brought me a bit closer to what I wanted. My fourth and final search led me to what I really needed! It is important to remember that four searches leading to a destination/purchase is optimistic. Often users make multiple searches and site visits before initiating and completing the end call to action – purchase, or appointment generation. Social search technology is trying to separate the want and desire into a community-based resevoir. Providers like Collarity includes data from key search engines while also placing a community emphasis on search results. Note :: Collarity has a technology which groups keywords into relevant categories based on audience activity. Keywords are entered into Collarity’s discovery engine and results for communities are instantly delivered. Entering the keyword “rose” into the discover box will provide options for site discovery, community discovery and keyword discovery. Keyword discovery provides instant insights into user intent while providing profiles of each segment’s search activity and the words they use. Users can immediately be directed to rose-related wines, help group pages or stores to purchase. Other like-minded individuals provide examples of sites visited and relevant categories. The idea is this tool is simple; by connecting user intent with site visits and evaluations, the process of finding what you desire is much simpler. Why hasnt Google or other big search engines implemented social search technologies? Well, Google Suggest and other emerging technologies provide keyword “suggest-a-search” as you type. 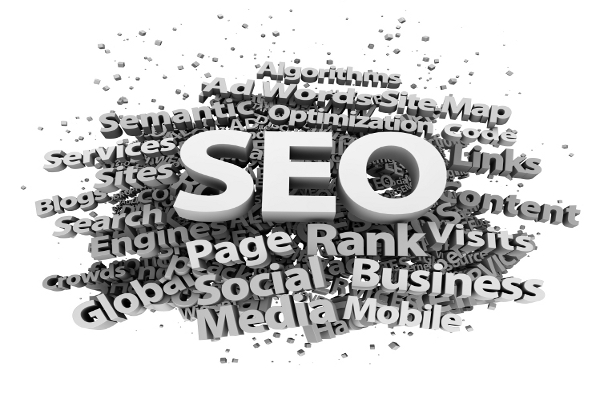 However, a slid strategy for targeting consumers or patients currently demands a presence at every keyword level! In the “rose” search example above, an wine distributor advertiser would have to be purchasing each keyword set relating to rose, wine or anything even remotely relevant to the search process. A great benefit for marketers is less ad budget. Users click more on what they may intend to buy in the absence of what they really seek. Social search functionality such as the one offered by Collarity threatens to dismantle the “buy every keyword to close the loop” strategy existing today. Instead, users will be offered results relevant to similar audiences thereby closing the loop with less search activity and less ad revenue in the short term. While one side argues that inefficient search leads to users discovering brands or products they may not be seeking, the community side will argue that by delivering content like-minded individuals want is a better, more succinct way to connect with a product or service. The downsides of group mentalities will never disappear, but it seems to me that every step toward delivering a better user experience is a positive step in the search evolutionary process. It may not sound like much as I write it but know that social search is the next big thing. It may not be the be-all-end-all but the grapes have already been crushed to help social search change the way we seek and find on the web. As more and more patients are searching online for health information and solutions, it’s important to realize that quality content may be the best tool for search engine optimization. Here’s the list from Byron White, Chief Idea Officer, ideaLaunch. 2. Use free and paid research tools to research terms – there are a slew of both free and paid research tools which can help you define keywords necessary to create a keyword glossary. Use tools in conjunction with your own creativity to create an inclusive list of terms. 3. Find the hot topics and keywords – by understanding the industry and leveraging tools, you can discover hot/trending topics and keywords to be a part of your mix in addition to the mainstay terms. 4. Develop customer profiles for testing/research the competition – building customer profiles and competitive research allows you to draw upon a knowledge base when creating content to both stand out from competitors and connect with your audience. 5. Develop an SEO plan with “keyword silos” – made up of long tail and short tail keywords – in addition to building a keyword list, group it into like terms in order for your content team to leverage it in an effective manner during content creation. 6. Score content for SEO strength – either via an automated tool or manually, score existing content for SEO strength in order to gauge what to optimize first. 7. Infuse your brand with great content – on the web, your content is your brand (and your brand is your content). 8. Create stories – people connect with stories more than just product pages and lists of features. Tell stories and connect with prospects at a much deeper level. 9. Define great content – know what great content looks like before you develop it. You can’t create something remarkable unless you have a vision in mind. 10. Document content publishing date – this is a frequently forgotten, but important tip. Only by documenting new content publishing date can you track/trend success of that content over time. Of course, metrics are key – track interaction and engagement with content. Get to a point where you understand how your content, whether a blog post or a product page, is converting and working for your brand. Open Site Explorer Provides web professionals the ability to explore or compare a site’s backlinks, top pages and other metrics. Linkscape A professional-quality inlink tool with advanced filtering, inlinks, anchor text distribution and more. SEO Toolbar for Firefox The power of Linkscape is now available inside Firefox. Trifecta Measures metrics to estimate the relative popularity and importance of Page, Blog or Domain. Term Target Helps determine how targeted a particular page is for a specified keyword by analyzing a variety of factors. SEOmoz Labs SEOmoz Labs is a place where our more adventurous PRO users can check out the bleeding edge of SEOmoz technology and product design. Rank Tracker Check, track, and monitor your rankings at all the major search engines, including Google, Yahoo! and Bing. Term Extractor The term extractor tool analyzes the content of a given page and extracts the terms that appear to be targeted at search engines. Crawl Test This tool helps quickly diagnose search engine crawling issues on your website – it examines title tags, http response codes, cache dates and presence in the search engine indexes. GeoTargeting Detection Discover how well your website is targeted to country specific search engines. Keyword Difficulty Used to analyze the competitive landscape of a particular keyword, this tool issues a percentage score and provides a detailed analysis of the top ranking sites at Google and Yahoo. SEO Toolbox A collection of FREE Tools that will give you quick answers and aid in daily SEO activities. Popular Searches This tool aggregates and archives popular searches from various sources. Juicy Link Finder The Juicy Link Finder is intended to find links that have authority – old domains with a high PageRank that rank well for the keyword you enter.